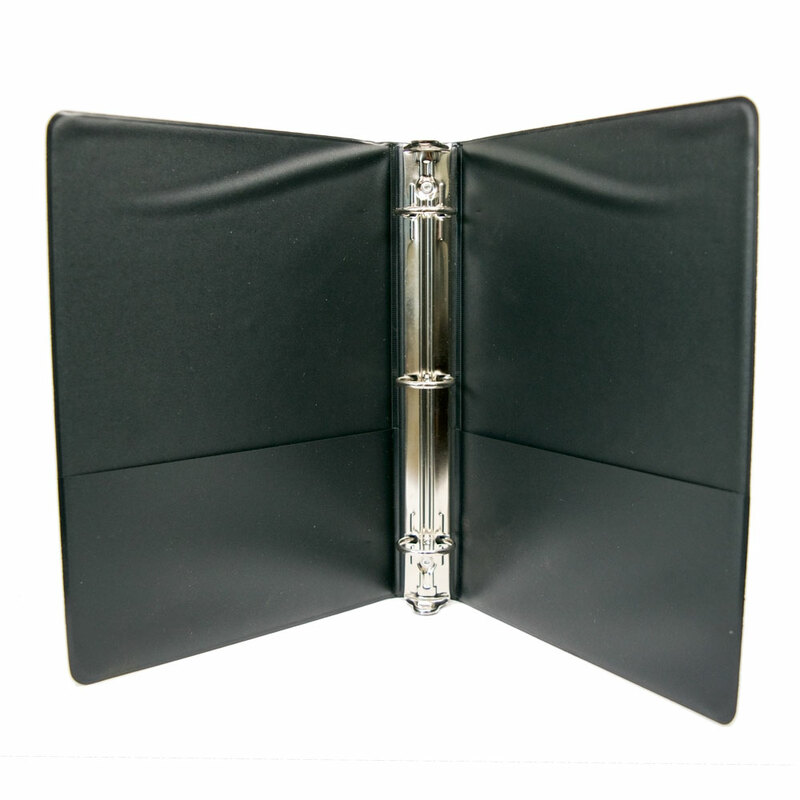 9.5" x 6" black ring binder with black cover for stockbroker documents. 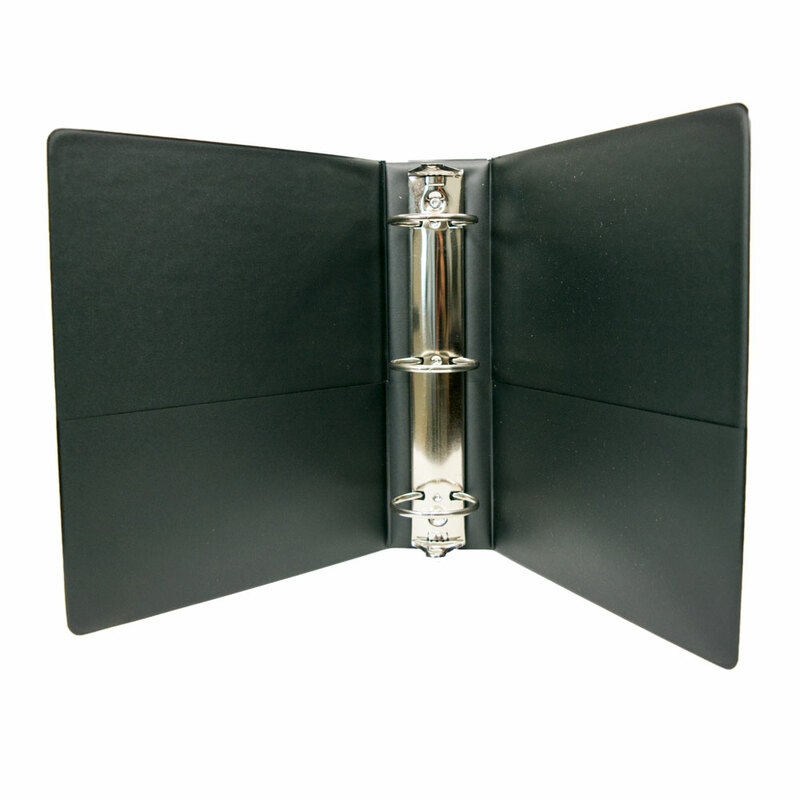 Keep organized in a stylish and convenient way. 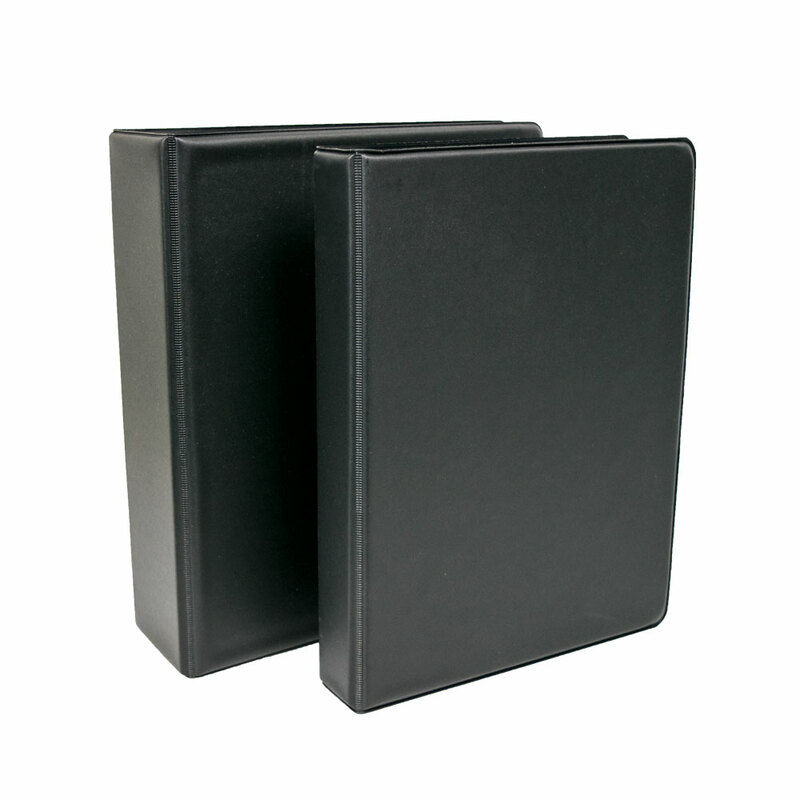 Notebooks available with 1" and 2" rings.